Which does the public believe is more natural? Far too often, academics remain secluded within the walls of their ‘ivory towers’, unaware of the interests and concerns of society. 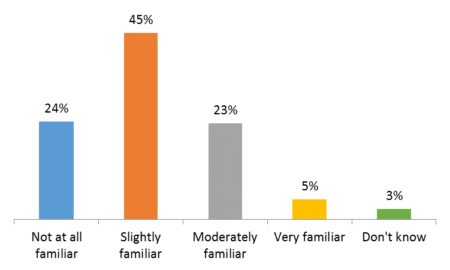 An example of this was provided in the fall of 2017, with the release of a survey finding that 58% of Canadians had no understanding of supply management, how it worked or what products it applied to. 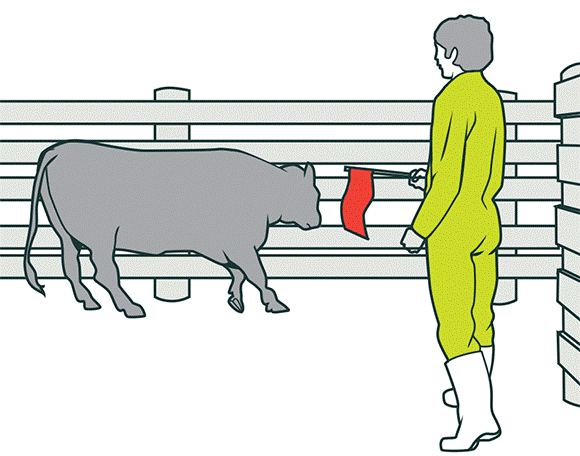 Food suffers a similar lack of communication and public awareness, similar to supply management. While we eat grains, pulses, oils, and horticultural products daily, we might not understand the planting breeding system behind it. While not solely to blame, academia needs to do a better job of communicating to the public about agriculture. 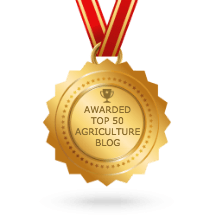 For some time now, I’ve had an interest in learning what the public knows about plant breeding. This spring, my summer student set out to do just that, organizing a survey about plant breeding and food security. Through an online survey, 500 responses were collected, and not surprisingly, the results are similar to knowledge of supply management. In our survey, 69% said they knew nothing, or had only the slightest knowledge, about plant breeding. 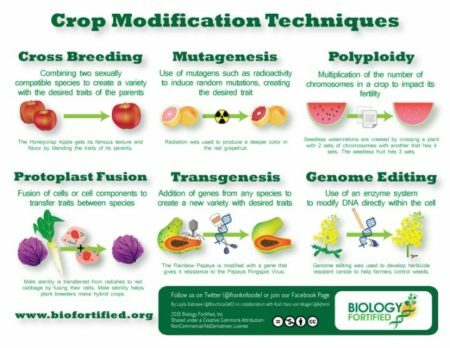 There are two main types of plant breeding used today: mutagenesis or genetic modification. Many people knew about genetic modification and GMOs, with 94% aware of this type of farming, compared to 87% for conventional and organic. Today, conventional seeds can be defined as those developed through mutagenesis breeding. 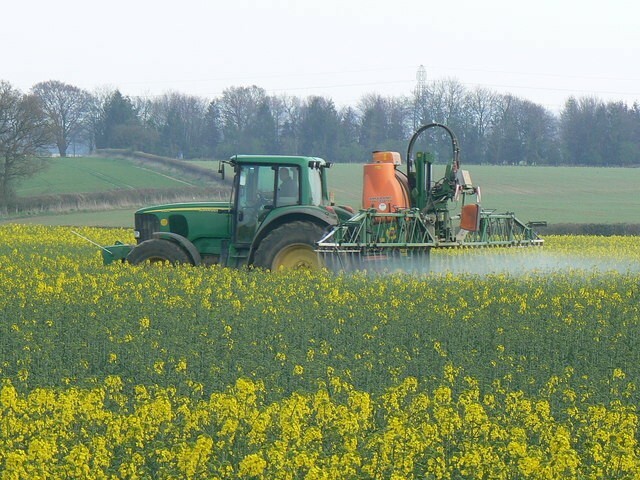 There are two well-known techniques to develop mutagenic seeds, expose the seeds to radiation or spray the seeds with chemicals and then the resulting seeds are grown and tested for mutagens that may be of agronomic value. Seeds developed through both of these techniques are eligible to be grown as organic crops. The intent behind our survey was to learn how ‘natural’ the public perceived the various plant breeding techniques: using pollen from one plant to breed another plant (crossbreeding), chemical mutagenesis, radiation mutagenesis, transgenic modification (where the inserted genes come from outside of the plant species) and precision breeding. The survey found that the mutagenesis breeding techniques to develop seeds used in the production of organic crops were viewed as being less natural than some of the brand new gene editing techniques used in precision breeding. One item of interest is the 10% expressed the view that a crossbreed plant is not natural. While this is not a high percentage of the population, the fact remains that 1 in 10 individuals view pollen transfer between plants (something bees do) as not natural. The far bigger concern for agriculture is that the public is expressing a clear view that any changes to a plants genes are not viewed as natural. With this view, will any innovation in plant breeding be viewed as acceptable by the public? Genomic innovations hold vast potential for agriculture. The reason for adopting breeding systems other than crossbreeding is to generate varieties that fit our needs and in a more timely matter than natural evolution. For instance, plants that are more adaptable to a changing climate, with improved nutrient content are the future. To accomplish this, genes within the various crops have to be changed. Virtually everyone involved in the agriculture industry knows this as fact, yet 59-69% of the public believes that changing genes is not at all natural. Do I have a solution? I wish! Hiring a summer student to develop this survey, gather the responses and analyze the results was the first step. Learning what the public understands about plant breeding was very informative. By sharing these results, it will now be possible to develop communications that try to provide informative information about how new varieties of crops, fruits and vegetables are developed. Without an increase in public understanding, substantially improved crop and food innovations may be stranded due to consumer unwillingness to purchase or consume. This is an ongoing project, and the second survey on indirect benefits of plant breeding was completed late last summer. A graduate student continuing this project and will undertake a survey on the direct benefits of plant breeding. If you would like to learn more about supply management, CBC explains Canada’s dairy supply management in relation to NAFTA: https://www.youtube.com/watch?v=fZPo40EQ34w .